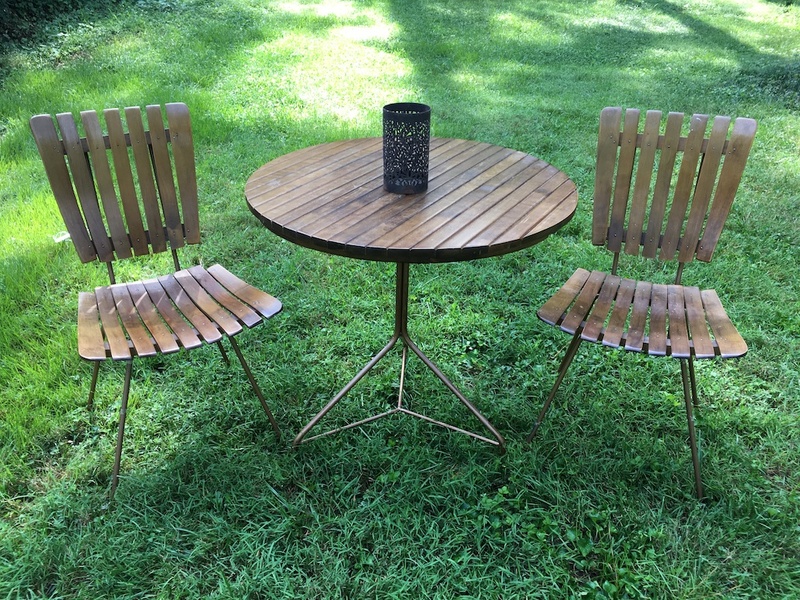 This iconic Patio Set by Arthur Umanoff features two slat chairs and table. Each chair is formed from bentwood which provides the perfect curvature when used and amplifies comfort. Metal legs add contrast to these slatted pieces and accentuate their forms. Umanoff’s style truly embodies the simplicity of Mid Century Modern Design while still incorporating functionality. Chairs measure, 18″W X 15.5″D X17″H seat. Table measures, 30″ diameter and 30″H.